A short fun quiz that will give you an idea as to what your education level is. 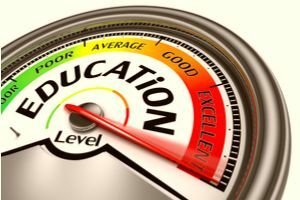 After taking this quiz you will have an idea as to where your education level ranks you. Do you know what country the Eiffel tower is in? Do you know what country gave the US the Statue of Liberty? Do you know what a 12 sided object is called? Answer these brief questions that will show you just what your education level is. This fun quiz will give you some insight into just how smart you really are.